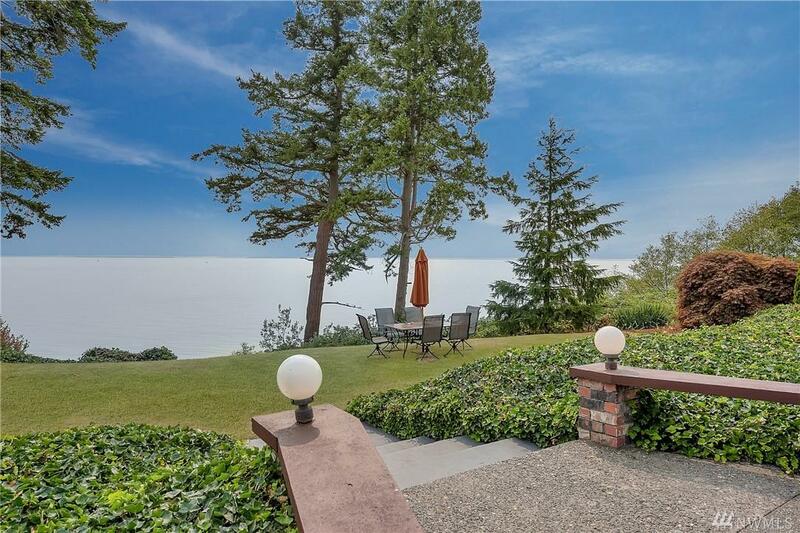 One of a kind--beachfront home with southern exposure that offers incredible views to the San Juan Islands. Eagle's favorite tree sits at the edge of the waterfront. 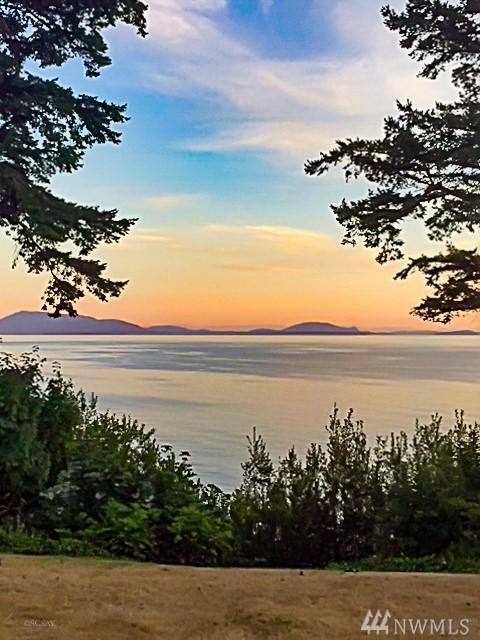 Birch Bay Village amenities include sandy beaches with great access! Classic single story--built solid to last a lifetime. 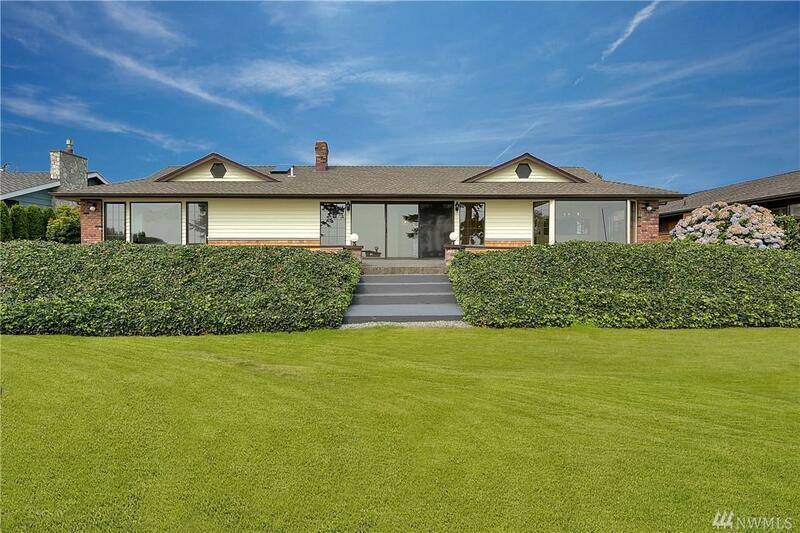 This home has a timeless floor plan making the most of each room. 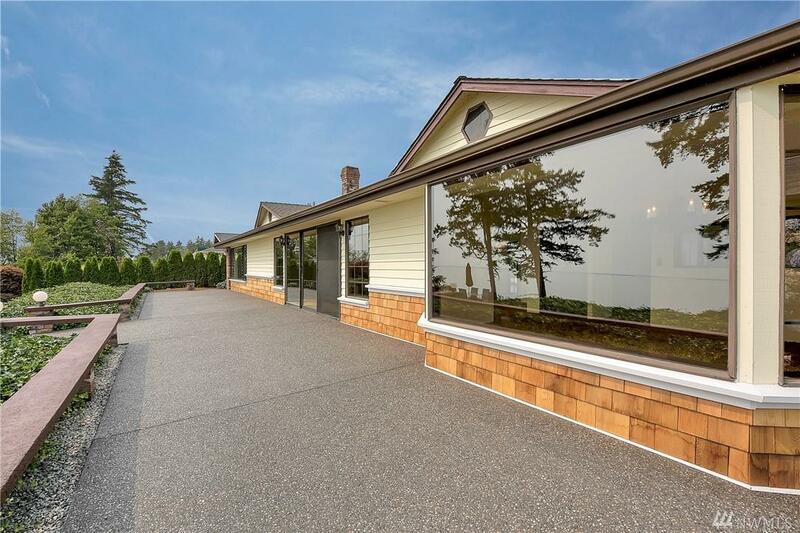 Not a single step--ideal for aging in place with windows that capture the view. Charming 'porte cochere' entry with courtyard patio--a must see!